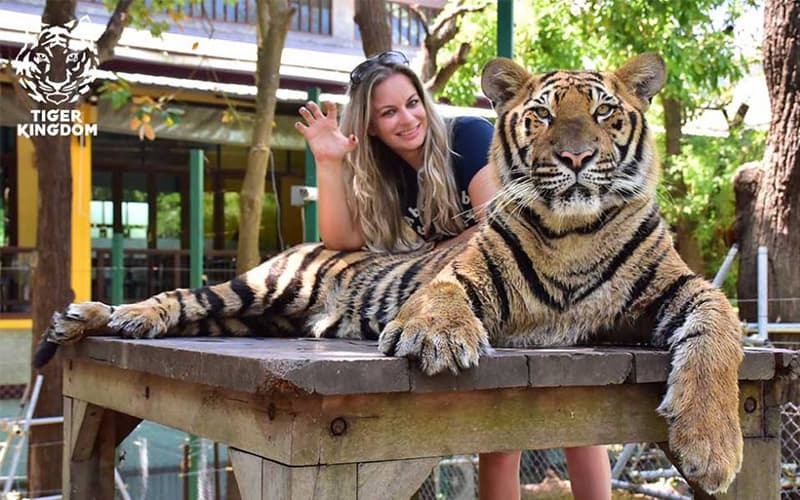 A visit to Tiger Kingdom Thailand offers guests a chance to interact with tigers in Thailand. There are lots of Indochinese tigers available with differences in size and age. The uniting factor between these tigers is that from birth, they have all lived in captivity and they have been brought up by hand. Living in this tiger temple, tigers have an environment which is clean and very attractive. To visit any of the tigers in the tiger zoo Thailand, simply walk into the reception. There are greeters in orange shirts ready to welcome you to the sanctuary. They will also put you through the necessary paperwork. One of such is a waiver. This is standard in most facilities where accidents might occur. This waiver exonerates the facility in the event of an accident. This Phuket zoo promotes a unique breeding program. It is run as a part of the “conservation” culture of the zoo. Since the tigers in the Tiger Kingdom are hand-reared from birth, they will not survive if they are set free into the wild. For this reason, it is difficult to identify any positive area where the funds which the facility generates is spent. The term hand-reared implies that the Tigers are taken care of by humans after being taken away from their mothers as cubs. As a result, the Tigers cannot survive on their own in the wild and depend on humans for the basic necessities like shelter and food. It becomes necessary to separate tigers into separate living quarters as they grow older. The Phuket tiger park does this when a tiger is about two years old. This is to prevent fights between the older tigers and the younger ones. This will also prevent the animals from becoming aggressive and wild. 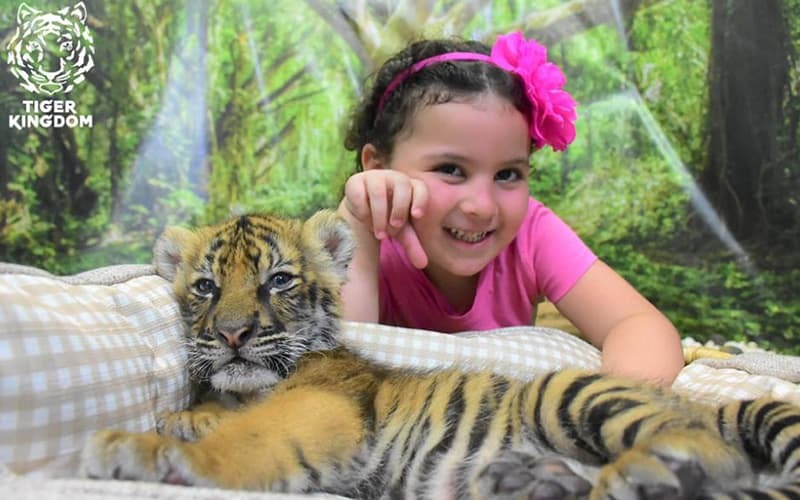 All tigers are kept in their cages throughout the day with the exception being when they go out to take pictures with visitors. Tigers come in varying sizes. The smallest, small, medium and big are the four recognized sizes. The popularity determines the price of the tiger. In terms of popularity, the large adults and the Cubs rank the highest. Depending on your budget, you can decide to combine various types. It is important to note that the Tigers don't come at a cheap price. 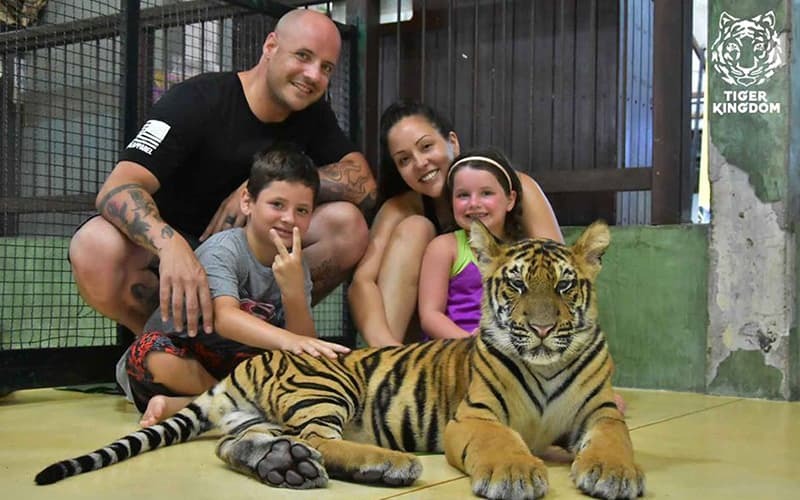 While compiling this article, these were the prices in Tiger sanctuary Thailand; 1,000 baht for the smallest, 900 baht for small, while the medium and big go for 800 baht. It is also possible to combine two tigers during purchase. In this case, you can get a Full Monty (big + medium + small + smallest) for 2,800 baht, a three tiger combination (smallest + small + big or medium) for 2,300 baht, and two tigers (big or medium + small) for 1,400 baht. It doesn't matter if an individual will take a photo or not with the animals, payment is made on entry and it can be a bit expensive. Individuals who use a walking stick or wheelchair are restricted from access into a tiger cage. Access to the Big Tiger is only available to individuals over 160 cm in height and above 18 years. Access to the Medium Tiger is only available to individuals over 160 cm in height and above 17 years. Access to the Small Tiger is only available to individuals over 150 cm in height and above 16 years. Access to the Smallest Tiger is only available to individuals over 120 cm with an accompanying adult. Why are the tigers so friendly? It easy for animals to develop strong bonds with its caretaker when it is younger. Building trust is easy for the pet tigers at the Tiger Kingdom since the trainers relate with them from a young age. Regardless, the personalities of each tiger also play a part. Some are very trustworthy and friendly while others are not. It is easy to assume that these tigers are just house cats which are overgrown. This is because they have been trained as pets from the early stages. For this reason, it becomes important for staff to always remember that the Tigers are not domesticated. Anything can happen. Getting great pictures of the tigers and petting them is quite easy for tourists. This is possible since the cats sleep most of the time and are very lazy. Getting too close to the animals becomes nearly impossible if they are awake and ready to play around. Although a sleeping tiger provides a lot of opportunities, a lot of tourists prefer to see the Tigers when they are awake. Is there any form of abuse? The internet is full of articles complete with inaccurate details on beatings and abuse of the tigers in Thailand. In reality, there is affection and respect between the tigers and trainers. The same way you will train a pet such as a dog from small is the same principle which they apply in training the tigers from the cub stage. This is why the Tigers remain friendly and it is possible for staff to control the tigers. Are the Tigers given drugs? Another false information which is circulated is that the Tigers are given drugs. There are various reasons why this is implausible. The first is that there is no drug that will remain effective all through the day since the feeding of the tigers is only during sunrise and sundown. During these periods, tourists are usually not around to know if drugs have been given. 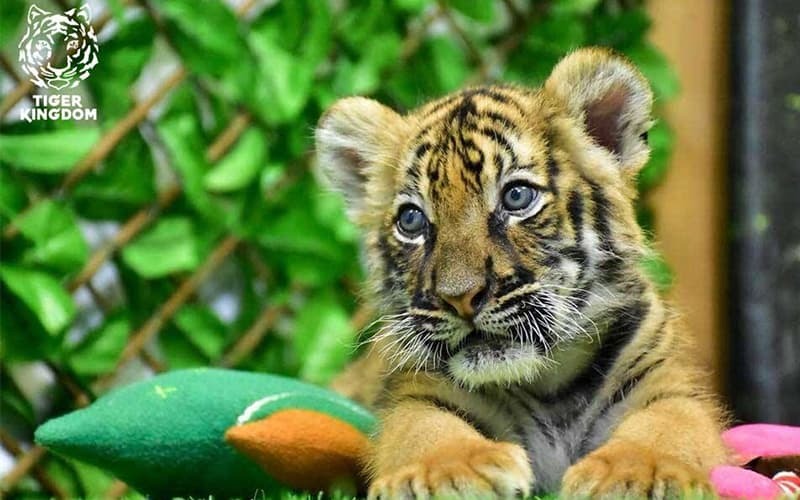 Giving drugs to animals like tigers can also pose a serious danger. Some of the side effects of these drugs are drowsiness and it also makes them lose awareness of their environment. The only time drugs are administered for safety is during treatment of the tiger. In this case, the maximum duration of sedation is one hour. Any longer and the life of the tiger will be at risk. Do they overfeed the tigers? Overweight is a problem in most tigers which are captives. The same also applies to other animals in captivity. Providing a diet and environment which will match what the animals find in the wild is a major cause of this problem. It is harder to replicate such conditions for certain animals. Another serious problem is the unrealistic expectations of visitors. The disparity between how a visitor visualizes the tiger and the actual appearance is the real issue. While the Tigers meet the recommended weight, people expect to tigers which are plump and feel much better when they hug. This is why they assume the Tigers are malnourished when they come in contact with them. There are various nutrition specialists available in Tiger Kingdom Phuket. The main job of these specialists is to ensure that the Tigers remain healthy. To achieve this, they supervise the diet and observe the food which the tiger receives.